Anyone else here get SAD (Seasonal affective disorder) ? I’ve noticed the last two years I’ve been getting depression and anxiety around this time of the year. Seems to be when the days start getting short, after the clocks change. Anyone else have this? Any tips to feel better? 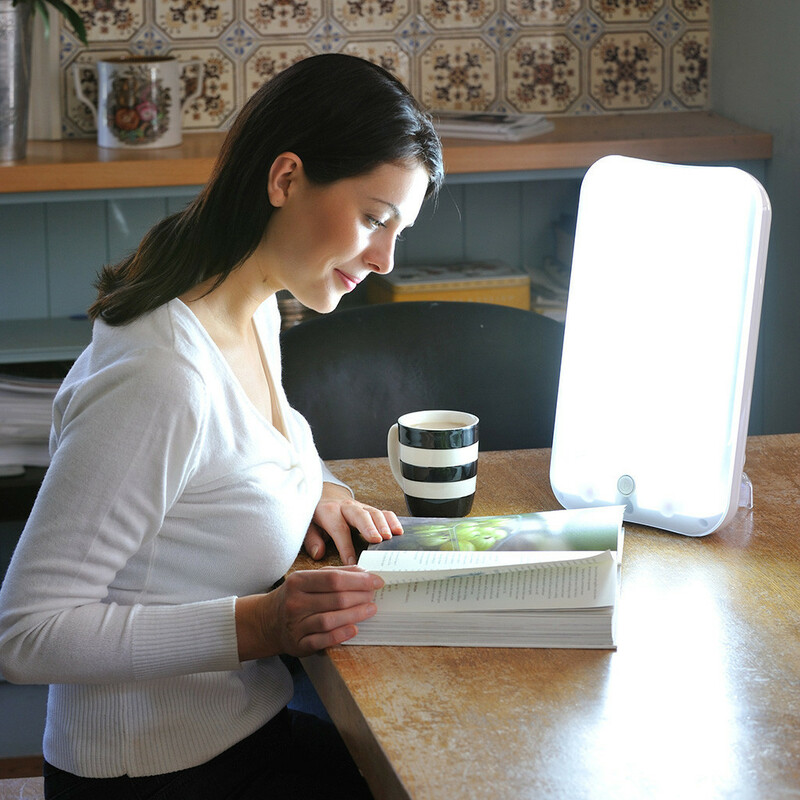 I heard sun beds and more natural light bulbs can help. Any experiences would be helpful, thanks. Hi Chris. My sister used to make a living selling light boxes for SAD. She said it was a great product because folks lives are complicated enough where they couldn't blame the product if they felt it wasn't working. That said, the shorter days sure seem depressing along with the prospect of a long winter. I personally think that for me, as I'm a mess year-round, I use winter as an excuse for my anxiety during that time. However, I don't blame how I feel during the summer on getting too much sunlight. Thanks Triceps. Hmm Light boxes, is it something like this? They are on amazon but quite expensive. Yes, I absolutely HATE winter. It's not too extreme where I live, but we still have the shorter days - so much darkness. The past couple of years, I've tried to have specific things on the calendar to look forward to to get through it, and I'm doing all the to things other people say they love in fall/winter. The hot chocolate. The fire pits. The Halloween costumes. I'm not complete sold yet, but it's been less depressing, at least? I can relate to this. I live in Indiana and during winter it gets dark at like 5:30 pm, not exaggerating. Definitely makes you sort of depressed. You folks from Indiana act like you suffer thru winters that are the cruelest in the country. Try living in the NW corner of Wisconsin where it's now getting dark at 4:45 pm and it was 5 degrees this am. My son in law doesn't have anxiety but really might have SAD as he's sick all winter with whatever illness is making the rounds.